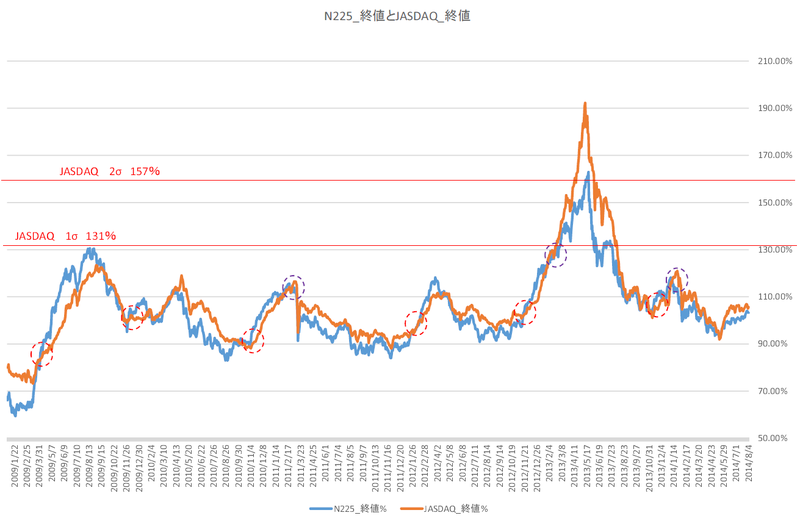 JASDAQ Index Daily; It will be difficult to back to 170 point over and this occasion will mean “Peaked out”. Today’s analyze is JASDAQ INDEX. Our conclusion is JASDAQ will difficult to back to 170 point around for some time. Rather than now is bear market. This is our part of latest technology. We can find out chart unique character by using our unique software. 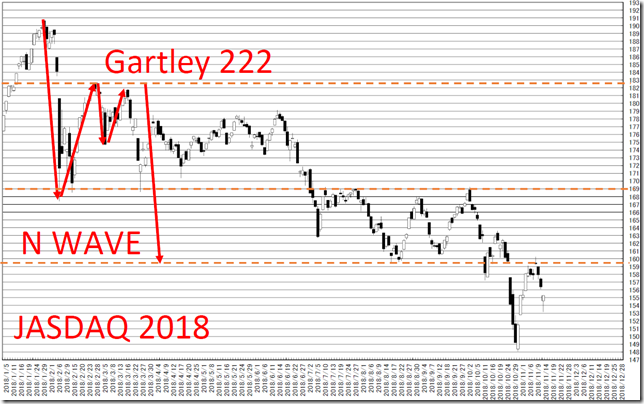 In the first half of this year, JASDAQ daily data forms “Gartley222” pattern. 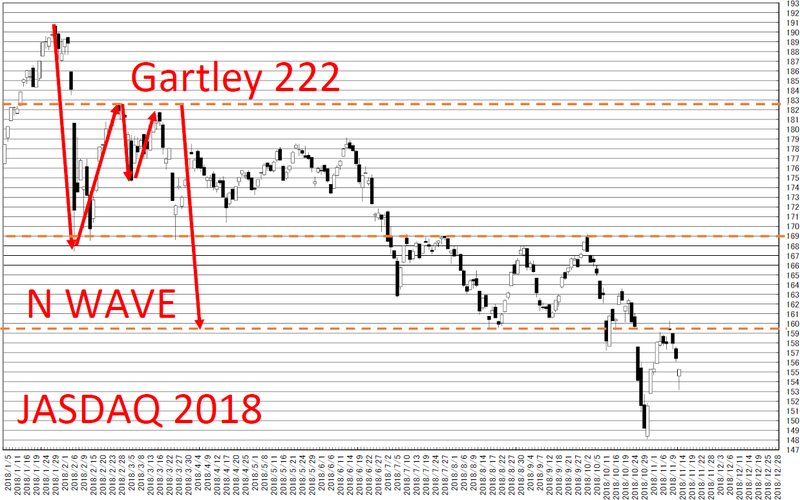 We know falling “N” wave over often becomes bear market and pulling back to 170 point will be difficult. 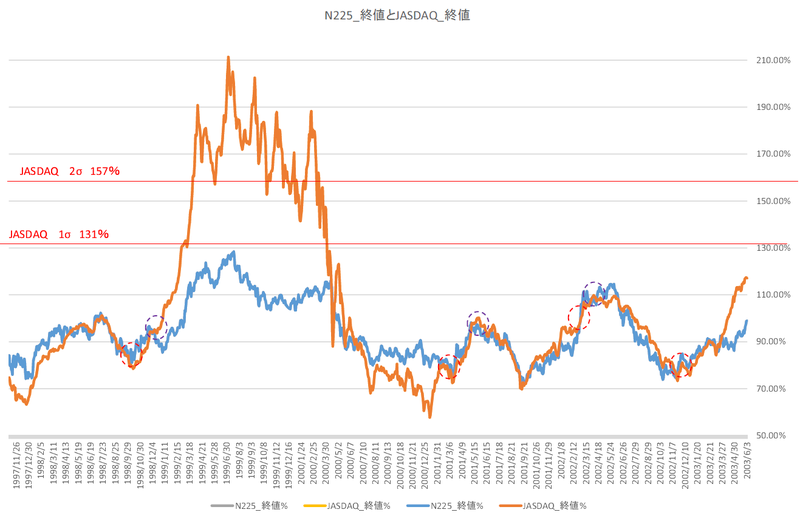 Comparing N225 and JASDAQ Index; now seems to be steadiness or fall. 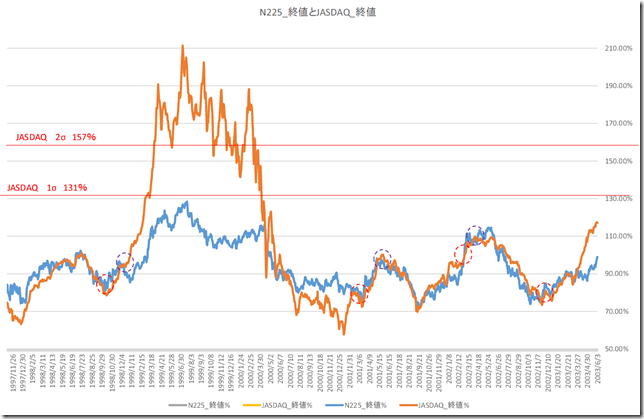 Today’s analyze is comparing NIKKEI 225 and JASDAQ INDEX. 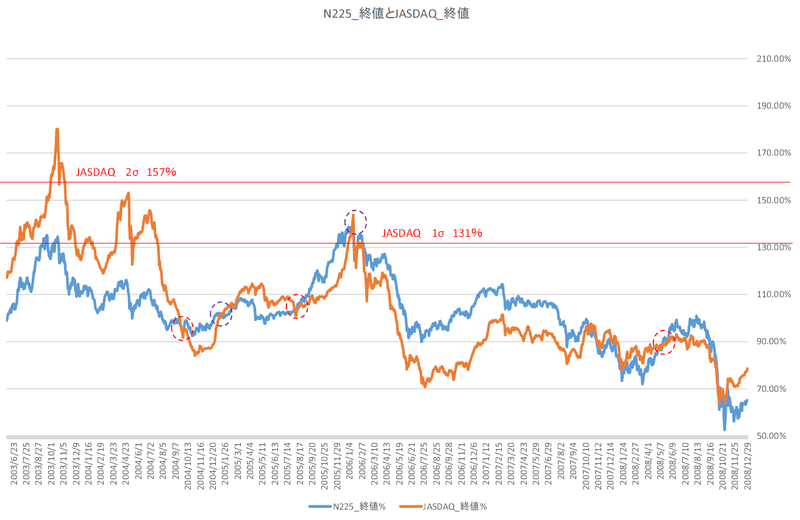 Today, we use our new type of INDEX and comparing N225 and JASDAQ performance. From this chart, we can know bull market has already ended. 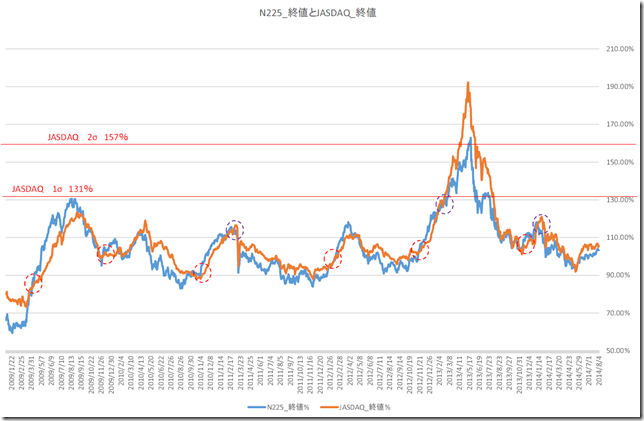 And 2013 market was very special market such as 1999-2000 and 2003 market. These types of market were very rare case. 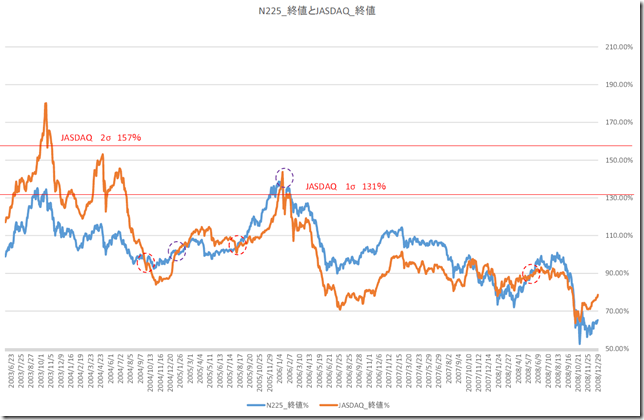 We can know now is steadiness or bearish trend and waiting for N225 outperform.